Big Gritty first put his stamp on the local rap scene back in 2002. "I was selling beats, recording other artist, even converting freestyle's from tape to CD for rappers demos. Whatever i could to make a quick dollar". 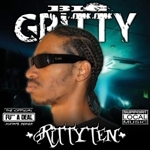 At the young age of 15, Big Gritty had already established himself in Fort Worth with his unique production skills. "As I started to get more comfortable with my rap style I jumped into the mixtape game. Being featured on dozens of local mixtapes, the street buzz began to grow and reach other markets. In 2007 Grits-N-Gravy Productions was launched. "My production skills reached a new level and I understood how important it was to invest in myself". Soon artist all over the DFW metroplex wanted Grits-N-Gravy Productions featured on their projects. "I take my music serious, Im down to work with any artist if they have a producer in their budget." Big Gritty is currently working on the Fu** A Deal mixtape series along with JBizzle and a new solo mixtape releasing soon.